2018 has been a roller-coaster year for Vijay Sethupathi. He has been part of various genres of films such as fantasy/comedy (Oru Nalla Naal Paathu Solren), gangster-comedy (Jungaa), investigative-thriller (Imaikkaa Nodigal), action-thriller (Chekka Chivantha Vaanam), romance-drama (96) and now fantasy/drama (Seethakaathi). Having already carved a niche for himself in the industry with his stellar acting skills and bold career choices, Vijay Sethupathi has become a name to reckon with in Kollywood. In this exclusive chat with Firstpost, Vijay Sethupathi talks about his recent release Seethakaathi, which also happens to be his 25th project, director Balaji Tharaneetharan, and his forthcoming release Petta, which is slated for Pongal 2019. "When you categorise movies, you divide it as either 'mass' or 'commercial' projects into trade terms right? 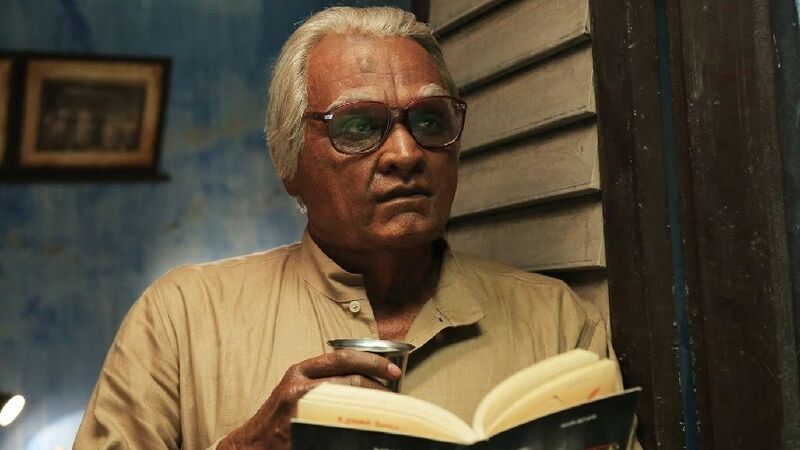 We have showcased a different kind of 'mass' in Seethakaathi. It will be an emotional experience and strike a chord with audiences too," Vijay Sethupathi told Firstpost. "When Balaji narrated this story to me in 2013, he wanted to cast Amitabh Bachchan for the role. Later, he wanted to do it with Kamal Haasan sir. But, I think he couldn't meet them both to narrate this. I feel proud that he finally chose me for the role," he adds, after a brief pause. When the teaser of Seethakaathi was released, it was evident that the septuagenarian drama artist he plays in the film dies in the story. "There's death in the film. But, there is more to the screenplay than what meets your eyes," Vijay said, adding that Seethakaathi is a tribute to art; be it any kind. (Firstpost's review agrees with him). "Initially, I had apprehensions about performing the role of Ayya Aadhimoolam. I was not sure if I could pull off this character. Now, I believe I have done some justice to the part. As an actor, my belief has become strong after watching the film. In fact, I had just 5% confidence in me. But, I had completely trusted Balaji with the story and his ability to extract the best out of me." Produced by Passion Studios, Seethakaathi has received rapturous reviews from a special screening held for critics earlier this week. Asked if people would embrace an experiment like Seethakaathi at a time when they're spoilt for choice, Vijay said, "Before making Seethakaathi, I had offered a bit of advice to Balaji Tharaneetharan. We are selling a canister with goods. But, we often forget to paint the canister. Those who paint continue to flourish and strike gold. Film industry won't change according to our needs. We have to adapt ourselves. You shouldn't feel complacent about being a good filmmaker alone. You have to be a good seller too. We should also keep doing things that make people watch our films." What made Vijay Sethupathi choose Seethakaathi as his 25th project since he's always busy with a bevy of films in hand for the past three years? "I never had any dream or imagination about what would be my 25th film. In fact, I didn't even realise that it should be a milestone project. I see every movie I act as a significant one. Seethakathi is a bonafide experimental attempt. You can even think of it as a story on story-telling. Seethakaathi will entertain and at the same time, it will make you think. It won't compel you. Audiences need not do anything hard to understand the film. It's a full-fledged entertainer." He further added: "I'm at a loss of words to explain how I feel to have Seethakaathi as my 25th movie. Actually, I signed both 96 and Seethakaathi at the same time. So, I had to choose between the two films to announce my 25th project. My heart chose Seethakaathi. Fortunately, both the directors were my close friends. And, we all agreed mutually to arrive at that decision." While everyone hails his role in Seethakaathi as one of his best performances, Vijay Sethupathi doesn't think so. "There's a general misconception that playing old-age roles would provide scope for actors to excel. It's not like that. Even for a film like Junga, I struggled to get certain expressions right. I don't want audiences to pay and watch me showcase my acting skills. There's an investment in involved in each project, and I always see whether the investor will be able to recover it or not." 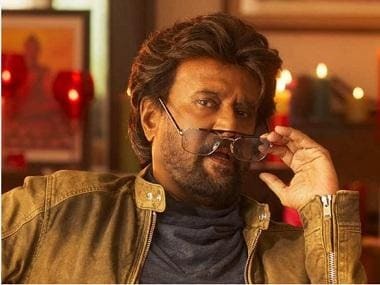 Recently, at the audio launch of Petta, Superstar Rajinikanth called Vijay Sethupathi, a "maha nadigar" (an actor par excellence). "I will never forget that moment. I'll always treasure it. For actors like us, Rajini sir and Kamal sir are like forefathers. We wouldn't have reached where we are now without their influences. Appreciation coming from someone like him who has been loved by audiences for more than four decades is incredible. I consider it a huge blessing," said Vijay Sethupathi about Rajinikanth's appreciation. "It's been a long time since we all celebrated Rajini sir's comedy, style, mass, dance, etc. Petta will be a treat to all those who are waiting to see that Rajini sir on screen," said Vijay. Seethakaathi hit cinemas worldwide today.